Romitaman Original Comic Book Art :: Private Collection :: Amazing Spider-Man Annual #3 Cover (Large Art) 1966 SOLD SOLD SOLD! by artist John Romita Sr. Pretty incredible LARGE ART 1966 cover! 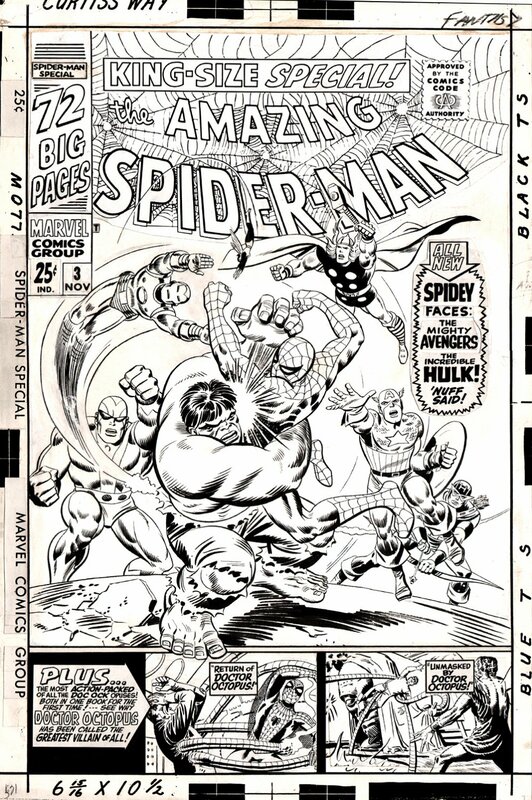 Only 24 large ASM covers like this were ever drawn by the great John Romita!